It’s Pension Time – Don’t Leave it Too Late. Welcome to this 2 minute HR Blast. If you have a pension scheme already and your existing provider has said the scheme will continue to be supported by them under auto enrolment, you can click away now. This Blast is predominately for those in businesses that have not yet set up a scheme. 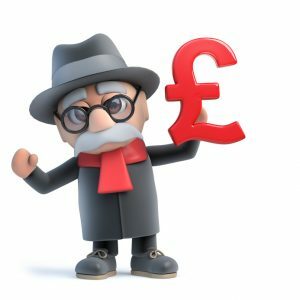 No surprise, but the state can no longer afford to pay for state pensions in the same way and has started to come up with some radical changes to ensure that people are planning for and paying for their own retirement. Previously the law required employers to set up a pension scheme if they had more than 6 employees – but there was no obligation to make any contributions or do anything else, consequently many organisations didn’t even set up a pension, or set up a pension that no one joined. Starting in July 2012 and phased in through to 2017 (dependent on size of the organisation), The pensions Act 2008 now requires all employers to automatically enrol eligible employees into a pension scheme and if the employee stays in the scheme the employer will be required to pay contributions for all eligible employees (eligible employees are employees earning more than £10,000 and aged between 22-state pension age). There must be a minimum 8% qualifying earnings contribution with a minimum employer contribution of 3% (with the employees contributing the remainder). Workers who have variable incomes around the threshold (£10,000) must be continually assessed to clarify whether they meet the qualifying earnings threshold on a monthly basis. You will need to deduct payments and re-enrol employees who have opted out on a 3 yearly basis. You will need to provide information to your pension scheme provider. Although you can choose to delay auto-enrolling your employees 3 months after your allocated staging date, you do still need to have a pension scheme in place by your staging date, so this is not something that can be left until the very last minute! Beware, the penalties are steep if you breach the regulations – the initial fixed penalty for failure to comply will be £400, which quickly escalates to a per day penalty of between £50-£10,000 per day depending on how many workers you have. Choosing a pension scheme may not be quite as simple as it sounds – for example many of the traditional pension providers are not taking on some of the smaller employers or those with multiple pay dates. Of course NEST (National Employment Savings Trust) is available for everyone, but does have some limitations. For example it doesn’t allow transfers in or out, limits contributions to £4400, doesn’t allow any trustee discretion on death and may provide a more limited investment choice. With the number of organisations whose staging date is approaching in 2015 rapidly escalating, if you haven’t already planned in a pension scheme – this will need to be one of your urgent priorities. When do I need to have a scheme by? Your staging date for compliance was set based on your employee head count in April 2012. To see the exact date take a look at The Pensions Regulator. How much will it cost to set one up? How long will it take to set one up? We recommend you allow 5-6 months for the project of setting up and implementing a pension scheme. If you can’t find a provider though because you leave it too late, this will lengthen the time required. When do I need to budget to add the extra 3% to my salary and benefits bill? This will depend on your staging date, but perhaps you ought to start budgeting for it for your next financial year. Don’t forget also your option of not offering a pay increase in lieu of contributing to pensions. Be careful though about not offering pay rises if you think that a good proportion of your staff will not want to contribute their 5% as this means that even with your 3% contribution, the minimum qualifying earnings contribution will not be met. Please do contact us at Jaluch if you are a small or medium sized business looking for a pension provider. Happy to share our experiences and let you know who might be able to help you. Email us today.